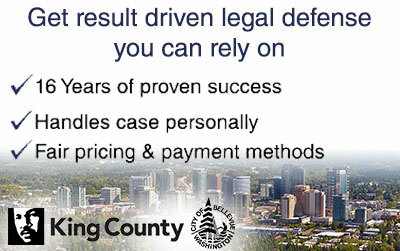 Have you been charged with a crime such as DUI, assault or theft in Bellevue, WA? When it comes to hiring a lawyer, you have choices – you can either pay a huge retainer and high fees at one of those big-name law firms, save your money and use a public defender, or you can call me, Schoen Parnell, an independent, affordable Bellevue criminal defense attorney. I own and operate Parnell Defense, the leading private criminal defense practice located a few minutes away from Bellevue since 2002. For more than 16 years I’ve helped people just like you achieve ‘not guilty’ verdicts at countless criminal trials. Everyone deserves to have a skilled, experienced lawyer at a fair price – that’s why my fees are reasonable, and I offer a range of budget-friendly payment options. At a time like this, you shouldn’t have to worry about money, or whether or not you can afford a criminal defense attorney who can give you the help you need. Unlike lawyers who work for big fancy law firms, I don’t use junior lawyers or paralegals – when you hire me, you deal directly with me. I limit my active caseload to 40 cases, and I give each of my clients with my personal email address and cell phone number where I can be reached 24 hours a day, 7 days a week. Call me today to learn more about how I can help you – I offer free case reviews and consultations to everyone charged with a crime in Bellevue, WA. If you have been arrested by a Bellevue city police officer and are being charged with a misdemeanor more than likely your case will be held at the King County District Court (KCDC) East Division. The KCDC Bellevue facility also provide services for Bellevue’s neighboring city Beaux Arts. Bellevue has it’s own prosecutor’s office employing several full time lawyers. However if you have been arrested by a King County Sheriff Deputy or WA State Trooper your case will be considered a state case. Misdemeanor state cases arising from arrests in Bellevue typically are scheduled to be heard in the KCDC East Division Redmond facility. Furthermore felony arrests are also considered states cases, however are filed with the KCDC Superior court located in downtown Seattle. In both state case circumstances the King County prosecutor’s office will review and file charges with the appropriate courthouse. Bellevue has been known to be extremely tough on it’s DUI arrests. 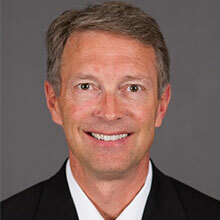 Typically DUI charges are reviewed and filed with the Bellevue prosecutor’s only several weeks after the arrest. In most cases people who are charged with DUI in Bellevue will be taken to the city’s police department to conduct a breath test, however if there are no prior offenses or other circumstances they will be released afterwards. The DUI penalties involved with even a first offense can result in mandatory jail, suspension of your driver’s license and up to 5 years of probation. I can help with both my years of experience and numerous resources to increase your chances in receiving an outcome of having your DUI charge dismissed or reduced to a lesser charge. Remember, time is of the essence when it comes to a DUI cases. Contacting a Bellevue DUI lawyer in the first 20 days of being charged can greatly help you avoid some of the hash penalties associated with DUI. 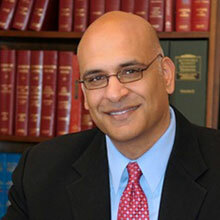 Schedule a FREE initial consultation so we can review your case together and discuss what kind of approach we can take. If you have any questions about your arrest in Bellevue, WA don’t hesitate to contact me.